I realize you will laugh at me, but I actually kind of like it. The hat makes him look dignified. The only thing missing is a knit bow-tie, but I'm sure I can rustle up one of those somewhere. 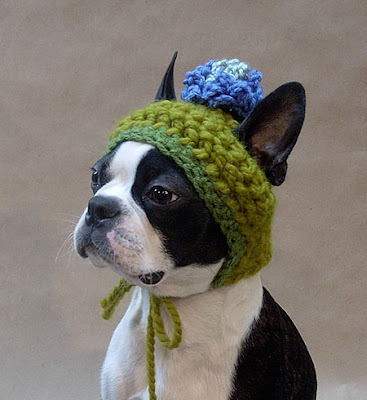 So seriously I want this hat pattern! Any idea where to get it? That dog does not look very happy. I know I wouldn't be if I had to wear that thing.